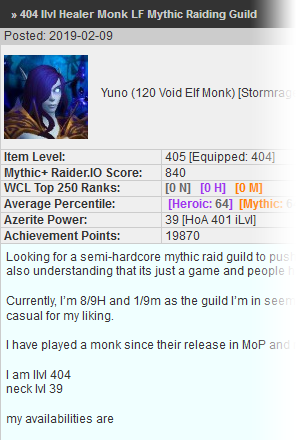 One of the most requested features was a guild finder much like the recruit finder. You can now use the Guild Finder to find your next guild. Choose Alliance or Horde based Guilds. Maybe you want to stay on the same server? Search just for your realm. You can also click on your class icon and filter out guilds that may be looking just for you. 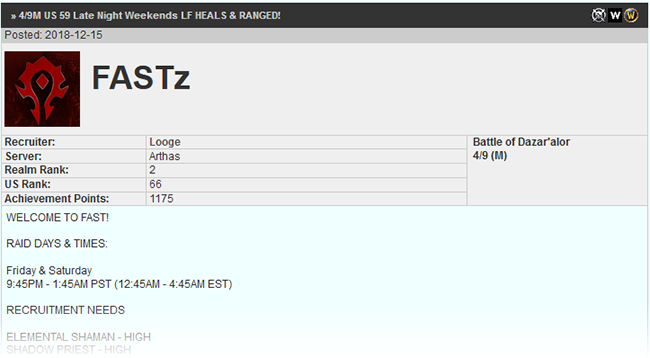 You can order the guilds based on their raiding progress as well from best to worst. 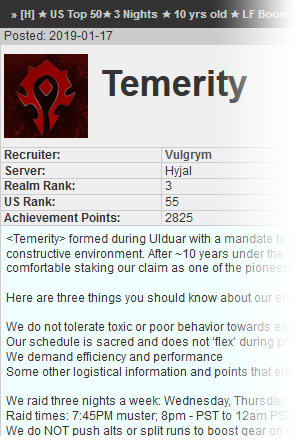 Server rank, the person to contact, region rank, it's all easily readable before you decide wether a guild is the right fit for you or not. Recruit Finder has been overhauled and is now tracking a multitude of important things. 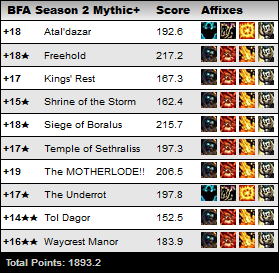 Like always it still tracks their item lvl, professions, progression, ect.. Now it will also show you their Mythic+ Score, a great indication if they are doing all they can to min\max their character. It shows you their current Heart of Azeroth Neck level. It will also scan WarCraft Logs and tell you how many ranks between #1-250 they have. 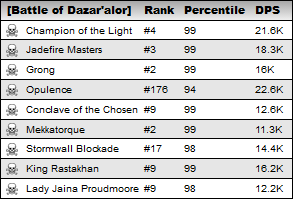 And probably one of the most important factors (at least for DPS) is the recruits percentile. You can easily see what percentile you can expect from your new possible recruit. Player Info now tracks the same amount of things as Recruit Finder, and more. Now includes specific Mythic+. dungeon details.